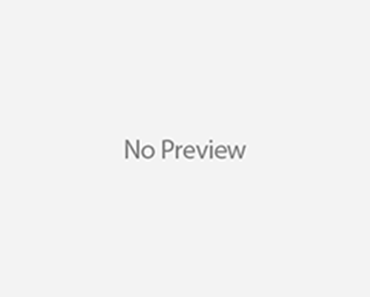 Clear Scalp & Hair Beauty Therapy Review! Brand new haircare company, Clear Scalp & Hair Beauty Therapy just debuted their entire shampoo and conditioner line this month. So what’s it all about? I haven’t seen a new drugstore shampoo and conditioner company in a while, the shelves are usually stocked with my usual favorites. But new company, Clear Scalp & Hair Beauty Therapy really caught my eye… especially with the beautiful Heidi Klum as their spokesperson, but also because they really targeted the scalp. Most shampoos and conditioners don’t talk about a healthy scalp unless you have dandruff, but Clear Scalp & Hair Beauty Therapy’s central idea starts with a healthy scalp which will lead to healthy hair! So I’m in! I have tried a ton of shampoos and conditioners in my day and some of my hair issues are manageability (since my hair is curly), shine (I have some damage) and dryness on my ends (I use tons of styling tools to keep my hair straight), but I also have fine hair which some conditioners can weigh down. Clear Scalp & Hair Beauty Therapy did a great job of always leaving my hair light and clean, without stripping my hair! I tried the Clear Scalp & Hair Therapy Total Care and have been on the regimen for the past four weeks and I have to say that I had noticeably shinier hair. My hair felt super soft and smooth and stayed that way even when my hair was dirty! Now I can’t really see if my scalp is any healthier because well it’s hard to notice, but I am hoping in the long run for my new hair grow to come in stronger! I do get an itchy scalp from time to time, but I haven’t noticed that since I started using Clear. I used the shampoo and conditioner duo twice a week and noticed that although my hair has split ends, they were smoother. You know when you run your hands through your hair, your ends can feel kinds rough…not so with Clear Scalp & Hair Beauty Therapy, at least on my head. The shampoo and conditioner are both creamy and smell great…no harsh smells…just soft! I dried my hair as usual and voila beautiful hair. I would definitely recommend this to someone! Types: Total Care (for all hair types), Damage and Color Repair (for damaged and colored hair), Volumizing Root Boost (for hair in need of volume), Strong Lengths (for weak hair prone to breakage), Moisturizing Dry Scalp (dry scalps and hair) and Complete Care (for dandruff prone scalps and hair). 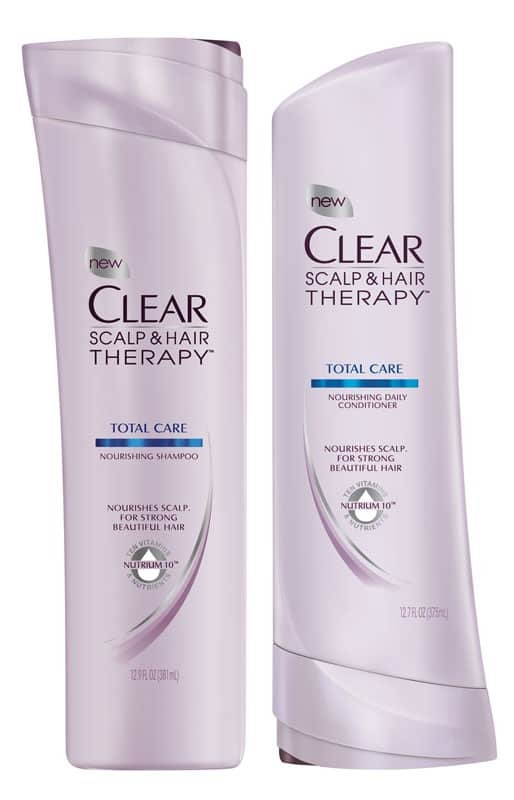 Coupons & Sales: CVS has Clear Scalp & Hair Beauty Therapy on sale for $4.99 (women’s hair), $5.99 (men’s) and there was a coupon for $2 off in last week’s Redplum coupon insert (The unilever one). 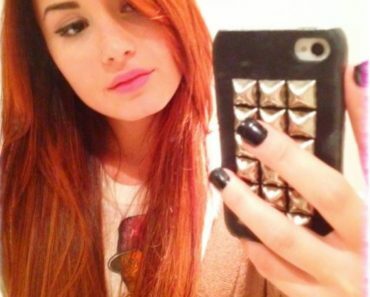 Demi Lovato Debuts Red Hair! Jennifer Aniston Loves Her New Cut And Color! Pregnant Khloe Kardashian’s Big Hair Makes A Comeback! What do you think of Angelina Jolie’s Red Carpet Hair? I have just started using the Moisturing clear scalp and hair and I used the strong lengths shampoo. I have had the itchiest dry scalp for years, and my hair (the roots) is super oily, I was it in the morning and by night it looks like a greasy mess already. I have tried every shampoo with no success. I started using this and although my head is still a little itchy it is nowhere near what it was, and my hair is so much less oily, i can actually go a day without washing it and it doesnt look revolting. the only other thing Ive done differently is making sure I was my hair in cold water (which has been easy cause its summer and hot out now, not so pleasant in the winter). I love that you can put the conditioner from the roots down, as before I always thought you should just put on the ends, although I do have long so I end up using a ton of it. it leaves my hair nice and soft and recommend giving this shampoo/conditioner a try if you have an irritable scalp. it has worked quite well for me.